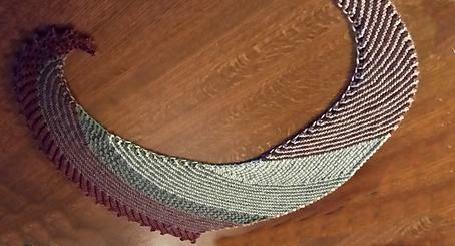 This is an asymmetric triangle shawl knit starting at one point. 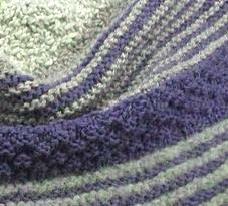 The shawl has garter stitch, surface texture designs and a very simple lace. Easy to follow directions. 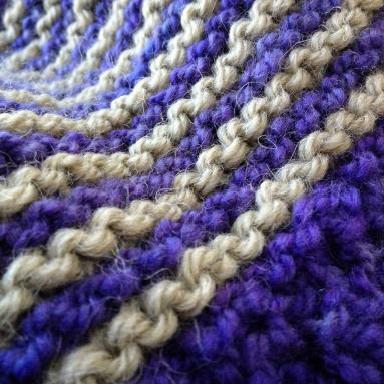 The pattern calls for bulky weight yarn (using 2 strands of Shepherd's carried together and size 10.5 (6.5mm) needles. But we provide a 2nd kit option so you can also knit a lighter weight garment if you prefer, by using just one strand of our Shepherd's worsted and size 9US (5.5mm) needles. The garment can be made larger by adding rows to each section, or repeating sections See your choices below. 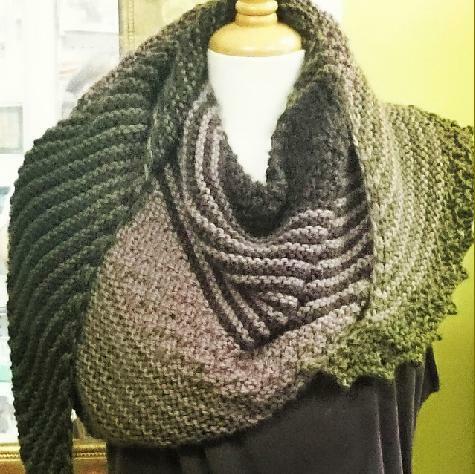 Kits for the bulky weight shawl contain the pattern and 6 skeins of Shepherd's yarn. 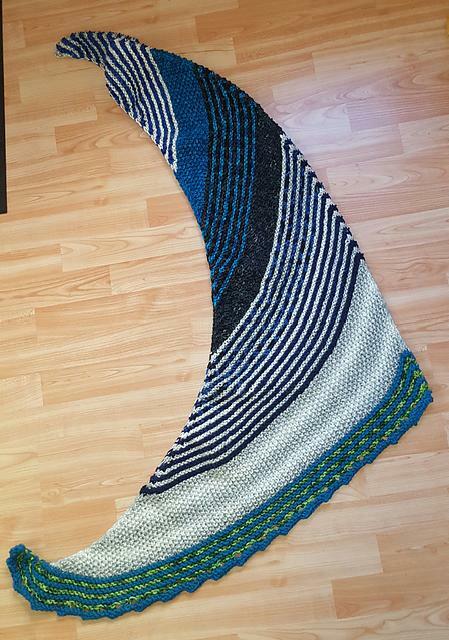 Kit's for the lighter weight project contain the pattern and 3 skeins of Shepherd's yarn. Special order other colors here. See all color choices herre.